Resurgence Small Engine Inc. had the most liked content! About Resurgence Small Engine Inc.
Diagnostics - Bad Voltage Regulator (2007 Arctic Cat 700 EFI) In this video, Jonathan investigates a client's observation that he has had to replace the battery every 2 years on his 2007 Arctic Cat 700. Watch the video to follow Jonathan's diagnostic process. Thanks for watching! Resurgence Small Engine Inc.
An Engine-In-A-Box came to the shop. Let's talk about water pumps! Confirm the year on your wheeler before ordering parts! In this video, Jonathan looks at a crashed ATV with a throttle position sensor (TPS) error. Watch to see the importance of the sensor position. This Polaris 2009 Sportsman XP 550 was brought to the shop because the engine did not sound right after it was crashed. It arrived with error code 520194 - 3, which corresponds to abnormally high voltage values from the throttle position sensor. Upon inspection, the sensor is working correctly, but had been jarred out of position in the impact. Watch this video to see Jonathan demonstrate how to align the throttle position sensor and to see what happens when it is not quite where it is supposed to be. In this video, Jonathan checks and adjusts the valves clearances on a Honda Foreman 450. On this unit, the exhaust valve had excessive clearance. Resurgence Small Engine Inc. Here is a reminder to confirm comparability when ordering parts. This E-Ton Viper 90 that does not start or crank. Before coming to the shop, the ignition switch had been replaced. Watch the video to find out the diagnosis! Resurgence Small Engine Inc. This 1998 Polaris Sportsman 500 has a nonworking cooling system; the fan does not turn on. In this video, Jonathan explains how he tested the fan & thermal switch to identify the cause of the problem. Resurgence Small Engine Inc. Resurgence Small Engine Inc. posted a topic in ATV For Sale? Post it here. Used ATV parts available from Resurgence Small Engine Inc. All parts have been identified by manufacturer's part number, photographed, and listed on our website. Our used OEM parts are available for up to 60% off dealership prices. This way you can maintain your machine with well-made OEM parts at a more affordable price! Compatibility can be confusing, but we’ve simplified it for you. Browse our current parts inventory by type, make, year, & model or search by OEM part number. We make the logistics easy with our Free Shipping Promotion on US orders over $100! Visit our website to view our current inventory: https://resurgencesmallengine.com/parts/ Parts are located at Resurgence Small Engine Inc. in Wasilla, AK. Free local pick-up is available and our website is configured for domestic US shipping. For international orders, please contact us. More parts & models to be listed continuously! As of August 2018, parts are available for the following ATV models: Parts are listed for many models, currently including: Kawasaki 2003 KFX400 Polaris 2010 Ranger 500 4x4 HO EFI Suzuki Quadrunner 250 LT4WD 250 LTF250 500 LTF500F King Quad 250 LTF4WDX 300 LTF4WDX 450 Quadmaster 500 LTA500F 4x4 Eiger 400 2x4 400 4x4 Ozark 250 LT250 Vinson 500 LTA50F Yamaha Banshee 350 Big Bear 350 Raptor 350 Warrior 350 Wolverine 350 More parts & models will be added continuously! Resurgence Small Engine Inc. This past spring, Jonathan worked on a 1991 QuadRunner 250 that came with the fuel pump removed. We didn't find good information about connecting it online, so we made a video. Below is the link to watch Jonathan describe the connections on the Suzuki fuel pump. This applies to both the Quadrunner and King Quad ATV models. Hope you find it informative! 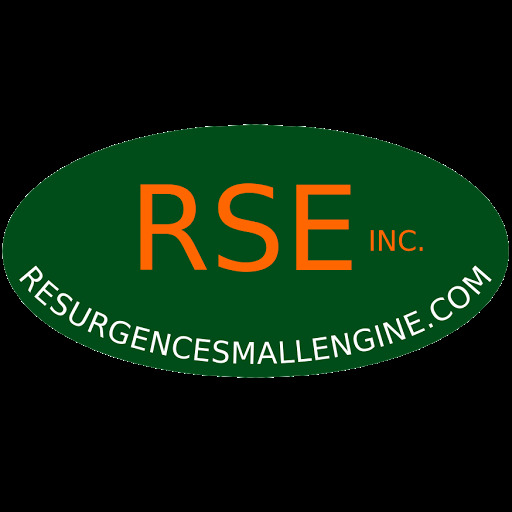 Resurgence Small Engine Inc.